Main street in Gustine Intersection of 4th Avenue and 5th Street. Main street in Gustine Intersection of 4th Avenue and 5th Street. 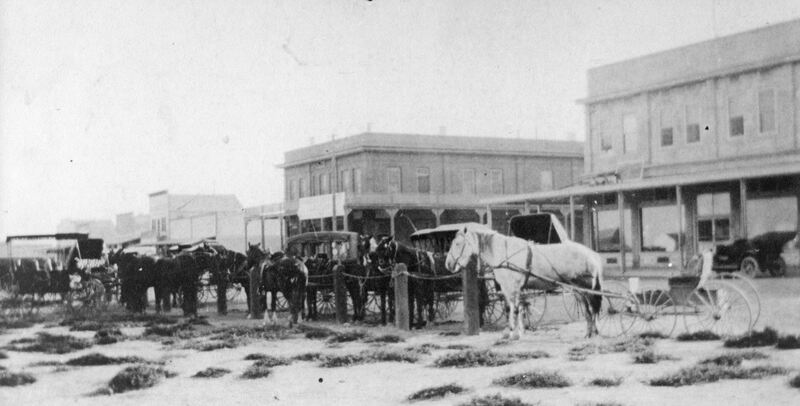 Gustine Hotel in center and Miller Lux Building on Right (now the drugstore).